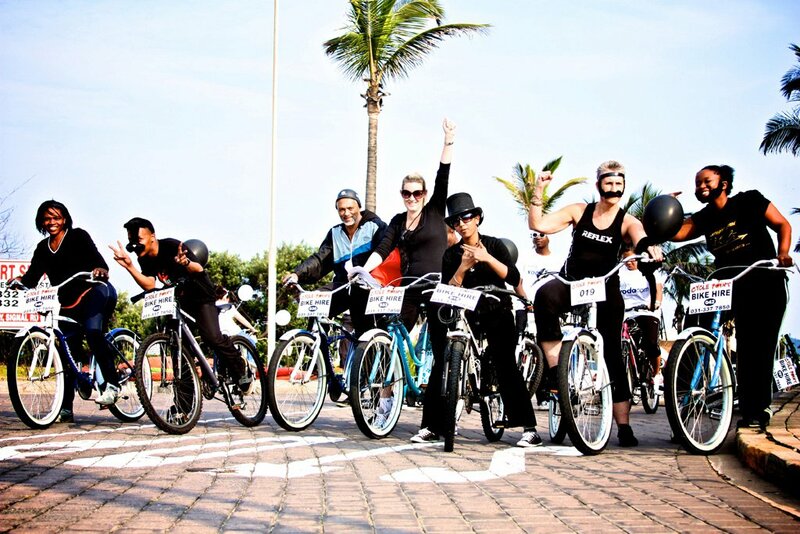 I’m so excited to have Thobeka here from Sunnyside Up blogging about her home city of Durban. 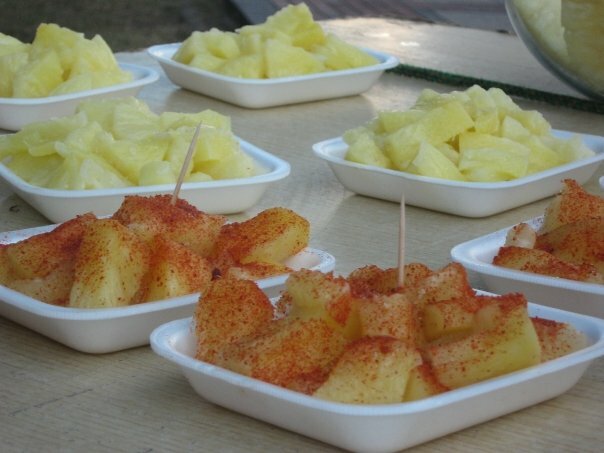 I recently discovered Thobeka’s blog and was immediately drawn to her spunky and quirky style – her posts never fail to put a smile on my face and she has quickly become one of my favorite daily reads J Thanks so much for guest posting for me Thobeka – I can’t wait to try some of that curried pineapple! I was honoured that Jenna asked me to guest post…but after thinking about it for more than 10 minutes I realised that the only way I could truly help you best experience Durban would be to actually fly you all down here for the weekend… soooooo…..
Durban, land of the Zulu’s! You’ve heard of Shaka Zulu right? Gangsta king turned crazy from way back when… well, he’s our claim to fame. This is where I was born and bred! I’ve lived on 3 continents, 6 cities, 3 countries but this is the place that I’ll always call home and will always come back to. It’s officially winter and the coldest it’s been is 16 degrees celsius – I can live with that. Most winter days average in the mid-teens to 25 degrees celsius. We’re only 6 hours drive from Johannesburg and there it’s about 2 degrees celsius. I’m no way a lover of hot/chilli things but man, I’m always willing to enjoy the burning sensation of pineapple with a curry powder like paste on my tongue. Now I’m not saying this because this city is ‘mine,’ but we really do have some of the friendliest and most relaxed people in all South Africa (Cape Town would be a close 2nd). Things move a little slower here in Durbs but sometimes I like it that way. We don’t show up to meetings 25 minutes early to ‘impress’ we like to get there 5 minutes before – we tend to take the ‘scenic route’ approach to life. Thanks to the VERY diverse nation that we live in, we are blessed with all types of restaurants offering an eclectic mix of tastes. 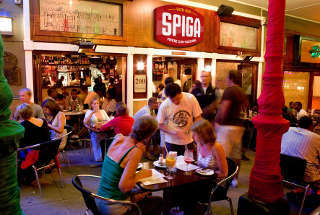 I’m a sucker for Italian food, so Spigadora is number one for A LOT of Durbanites. It’s situated on one of the most buzzing streets in Durban (Florida Rd) and serves up divine Italian cuisine, in a vibrant yet relaxed setting till the early hours of the morning. (I’ve had pasta there at 01:00, after a night out on the town). Yossi’s also a hit with its mouth watering Moroccan food! Should you decide to visit, I’ll gladly take you to a little place with no name that sells yummy home-cooked traditional Zulu food. 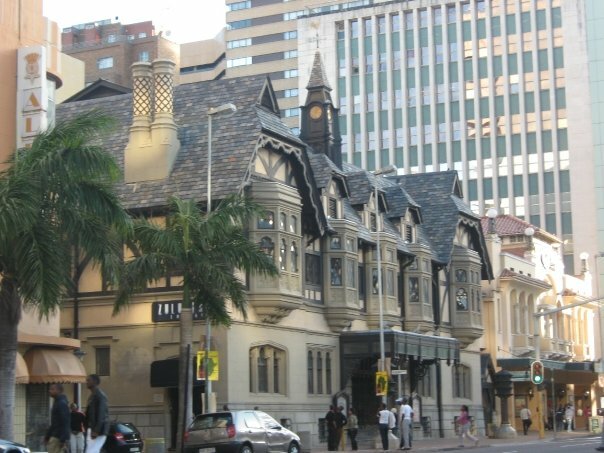 Due to our history - the whole British colony thing – our buildings are very old Victorian (I think) and I love it. It’s as if time stopped in a certain part of town. Whenever I’m driving downtown I can’t help but gaze at the City hall, Library and Playhouse Theatre. I could definitely go on and on about this, but then we’d be here till next week. Writing this guest post has definitely convinced me that I need to blog more about my city – hello new feature!